For our disco hire service we select hardware for events upon visual and also acoustics demands. Customers can describe their needs because combinations are endless. Also since new systems often replace old. Mostly private hire falls into two categories. The “Gold Standard” and “Mini-Disco” Packages. I sometimes refer back to these example photos in calls because they’re of typical events. Here a “Gold Standard” package is on a stage but could be against a wall. 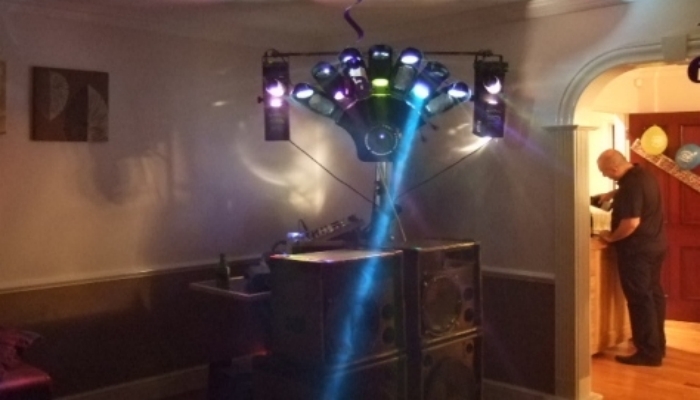 The “Mini-Disco” can squeeze into a corner spot. Useful for a house party or the bar area of a public house. Corporate and public event clients have two larger package sizes if required. The “De-Luxe” packages are even more tailored to the event and venue. “De-Luxe” packages can include architectural, mood or ambient lighting matching the client’s colour scheme. 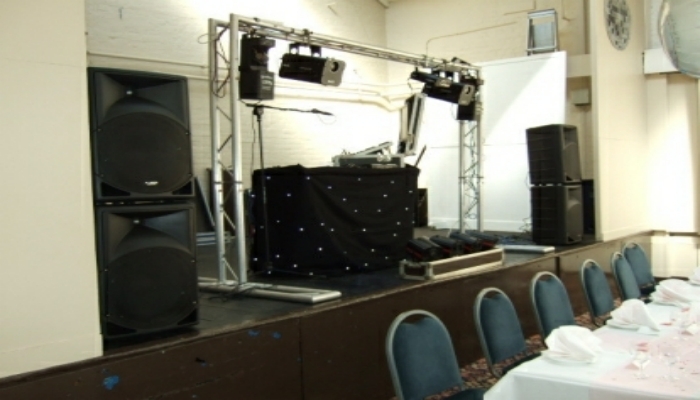 Discussing customer requirements we also supply dance floors as well as a variety of other upgrades. “great discos are not cheap! ~ cheap discos are not great!” This well known phrase is true but the difference in price is not great! Pro DJ’s rely on more work as opposed to higher fees. Please be sure to read some of our client reviews before trying to save just a few pounds.